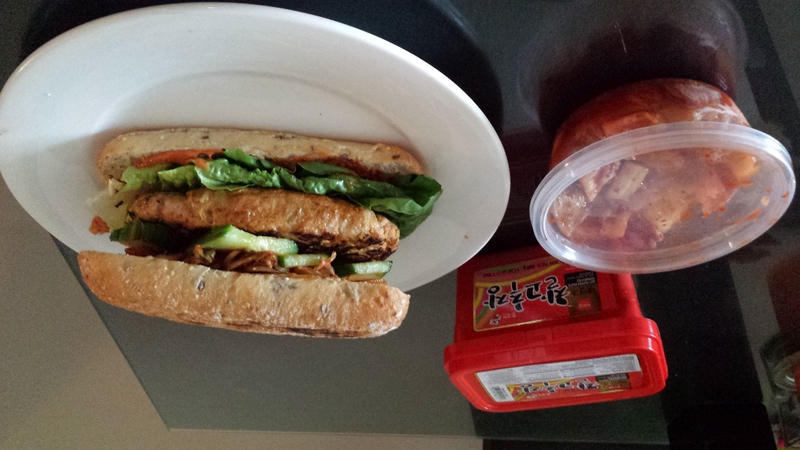 Korean chile paste (pictured), available from any Korean/Asian grocery store blended into the turkey mince makes this turkey burger recipe incredibly moist and flavorful. Top these healthy turkey burgers with kimchi—a fermented mixture of cabbage and other vegetables—which can be found near other refrigerated ingredients in any Korean Grocery store. Combine turkey, 1 spring onion and 1 teaspoon of Korean Chilli Paste in Food processor. Remove and make pattie, using a drizzle of sesame oil. Korean chile paste (also called hot pepper paste, gochujang or kochujang) is a fermented spicy condiment made from red chiles, soybeans and salt. Find it in Korean or Asian markets or online from koamart.com. I would recommend PeakPerformance 365 to anyone looking to see almost immediate benefits from the supervision and guidance that Al can bring with his training knowledge and support. A year of pain and over the last 7 weeks of training, my rotator cuff injury has healed beyond belief. All I can do is thank you! Let them know what you want to achieve and they will create a health and fitness program just for you! Hi, I’m Al and I'm your Peak Performance 365 Personal Trainer based in Cairns, FNQ. I am a firm believer in the fact that you can achieve anything you put your mind to. Just have a goal in mind and set a plan out to reach it. Will power and hard work will get you there. Being strong enough to overcome any obstacles thrown at you will set you apart from the rest and help you be the best you can be... everyday.